This is out of my comfort zone genre wise, being far more menacing and dark than titles I normally review. It started out without great menace, with the darker tones coming as experiences with the occult began to occur. That being said, I was captivated with the story: could visualize the environment and the flora and fauna, and found myself immersed in the mountains that are so beautiful and can be so menacing. 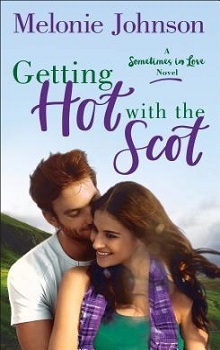 At times feeling like a story around the fire, then switching to show the author’s knowledge of how things work and his characters, each moment was a new revelation. 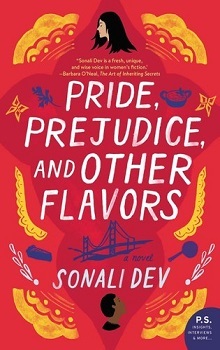 Each character is defined and developed in pieces, both wholly complete and incomplete leaving their faults, foibles and agendas to be doled out in tiny pieces as the tension builds. Sadly, with so many characters and so many personal stories that intersect, parallel and diverge, it was often hard to both keep track of each and find them leaving a lasting memory or fully drawn impression. Ideally half of the characters would have been eliminated in this story, and perhaps a second story to bring in their views on the overall. Romeling narrated the audiobook himself, his familiarity with the text and his hints that foreshadowed the ‘spooky moments with a soft tonal difference in his voice. He has a particular timbre to his voice, with a reverberation and tone that is rich and full of bass. There was, however, hollowness in the recording, much as if the recording was done in a shower room or there was no soundproofing in the recording studio. While notable, it was not dramatically distracting and was an interesting accompaniment to the story. I couldn’t stop thinking about what next in this story, and found myself taking extra ‘listening time’ when I should have been working on other things. This is the perfect accompanying listen for a long car trip, preferably heading out to camp in the mountains of New England. Everyone had an agenda, and was it really only coincidence that they all came together in the same village nestled in the ancient Taconic Mountains? Completely involved with their own pursuits, the visitors were unaware of older agendas within the dying town and on the ridges of the brooding mountain with its secrets, dark mysteries, and the seemingly ageless Boudine Sisters. And if the result could sometimes be laced with both the mysterious and the comical, it was always tempered by this truth: sometimes, deep in the heart of the New England mountains, something is going on, something at once lighter than air and darker than starless night. Mike Romeling is a freelance writer and singer-songwriter from upstate New York. 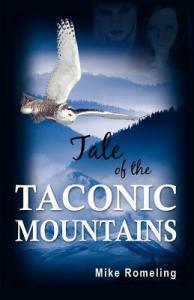 His first novel “Tale of the Taconic Mountains” was released in 2012-2013 as an e-book, paperback, and audio book. He lives and often rambles through the very mountains where the novel is placed. But since writing it, he takes care to return home before scary darkness falls. Save 50% for 3 months – Download and Listen to an Audiobook for only $7.49 today!